In 2016, Marcy Brenner and Lou Castro, a.k.a. Coyote, opened the Coyote Music Den in the Community Square, offering a cozy venue for music and "well-crafted spontaneity." This season will continue with three shows each week. 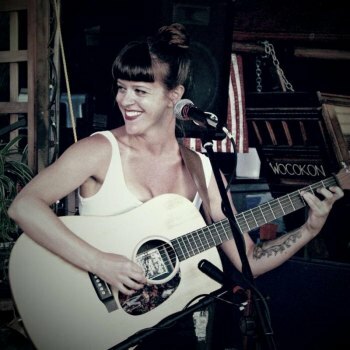 Also at the Den this season: Coyote ("Just We Two") duet on Wednesday nights (beginning May 24th), and Martin Garrish "Playing your Ocracoke Memories" every Friday night. 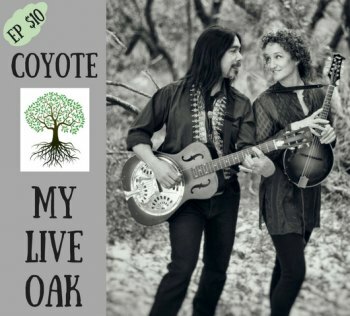 Coyote Music Den shows are at $15 for adults, $7 for kids under 12 at the door, and $12/$6 in advance on their website. All shows start at 8pm; doors open at 7:30pm. Seating is limited to 40 people; all shows are broadcast live anywhere in the world (for $1) on their Concert Window Channel. Marcy and Lou have a new EP coming out in June! They're releasing their newest songs in a 5-track EP format in June 2017. Songs include: My Live Oak, Joe Bell Flowers, I Beg You To Stay, Sleeping With Lucky, and Meow.